Would you bet your life on this sprinkler head? 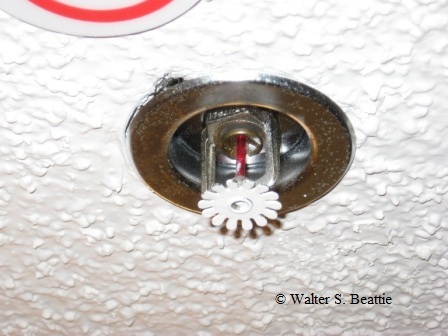 This sprinkler head was in a hotel room in which I stayed. The painters painted the deflector, and got paint on the fusible link, orifice, and frame. This head should be replaced. This entry was posted on Wednesday, March 30th, 2011 at 12:28 am and is filed under Uncategorized. You can follow any responses to this entry through the RSS 2.0 feed. You can leave a response, or trackback from your own site.